Experience the very best of luxury safari tours in Zimbabwe; visit these amazing travel destinations and create a lifetime of memories! Whether it’s thrilling game drives, a spectacular Savannah, exciting night drives or bush walks with experienced wildlife guides, the land is sure to offer you a quintessentially African luxury safari vacation. Surprise yourself with traditional boat and canoe safaris, fly fishing and breath-taking waterfall sightings along the great Zambezi River. The best time for a Zimbabwe tour is during the cold and dry months between May and October. 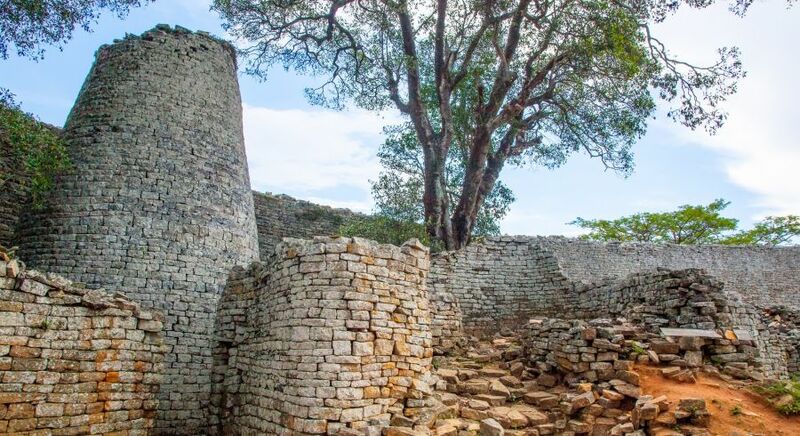 You could begin with a very different ‘safari’ trip from the usual game viewing tours at the UNESCO World Heritage Site of Great Zimbabwe, and then wind your way to the strikingly beautiful Matopos National Park. Then head to the Hwange National Park for some big game viewing, before getting awestruck by the mists and rainbows at the grand Victoria Falls. 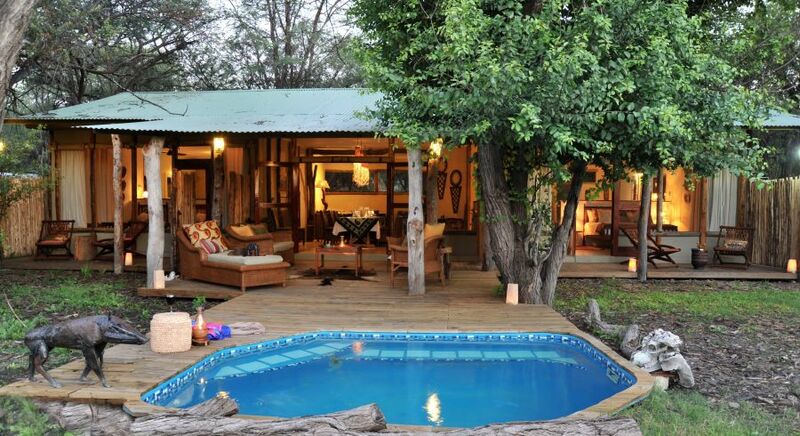 Expect to stay at the best of safari camps, safari lodges, guest houses and boutique hotels in Zimbabwe. 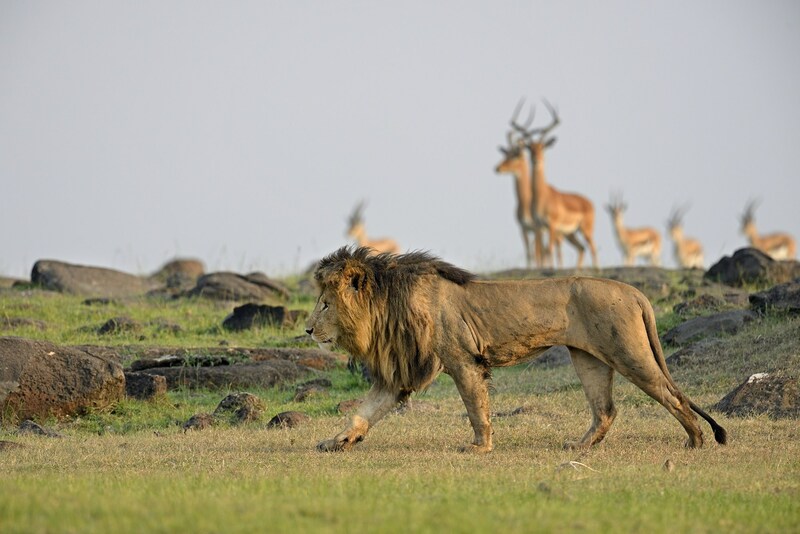 Travelling between campsites is generally arranged by road in open safari vehicles. The rides usually go through wildlife areas at a comfortable pace, stopping for refreshments and game viewing as you travel. Depending on the time of year, some of these transfers can be quite interesting with water crossings and wildlife sightings! 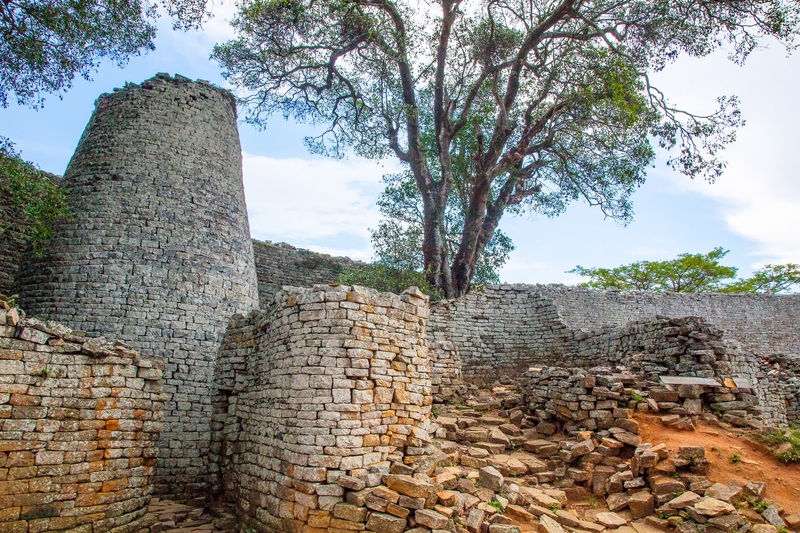 Not many know about one of the best preserved stone cities of sub-Saharan Africa—Great Zimbabwe. Built during the 11th to 15th centuries, this once-prosperous trading center was home to the fabled Queen of Sheba! Sadly, all that is left today are the archaeological ruins of a once-great city. A luxury tour of the city could offer you customized walks at the UNESCO World Heritage site and boat cruises for you to get to know this stone city better. 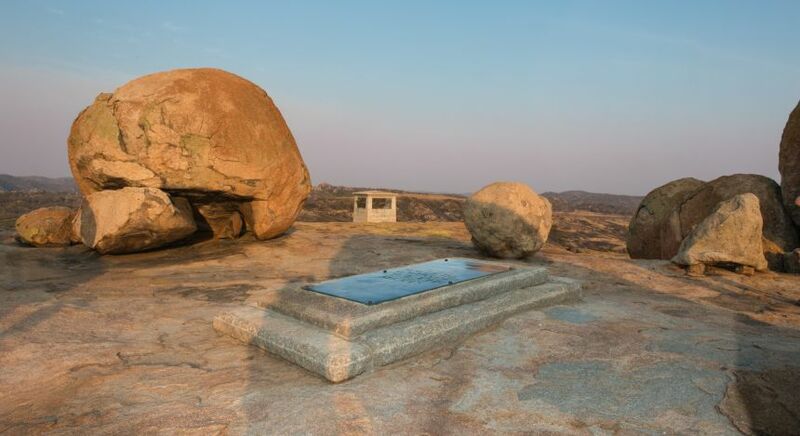 A luxury African safari tour could help you to drive through the spectacular granite hills of Matopos, following in the footsteps of Cecil John Rhodes. 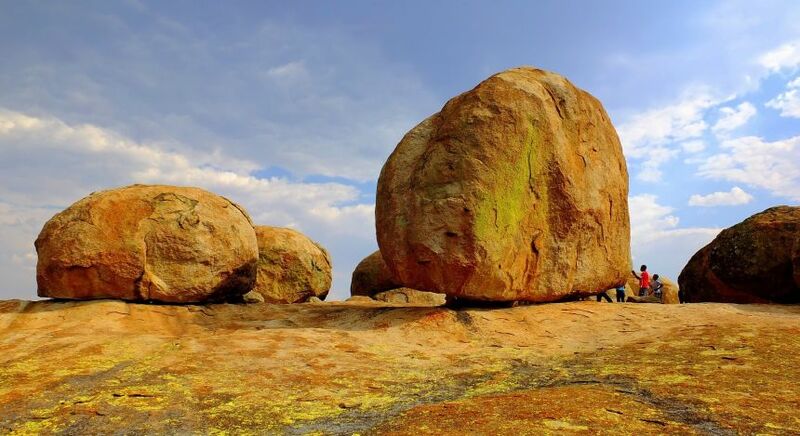 Explore 3,000 well-preserved rock paintings from the Stone Age at Matopos, which is another UNESCO World Heritage Site. About 100 sq. km. of the Park is designated as a Wildlife Reserve, teeming with birds and animals. 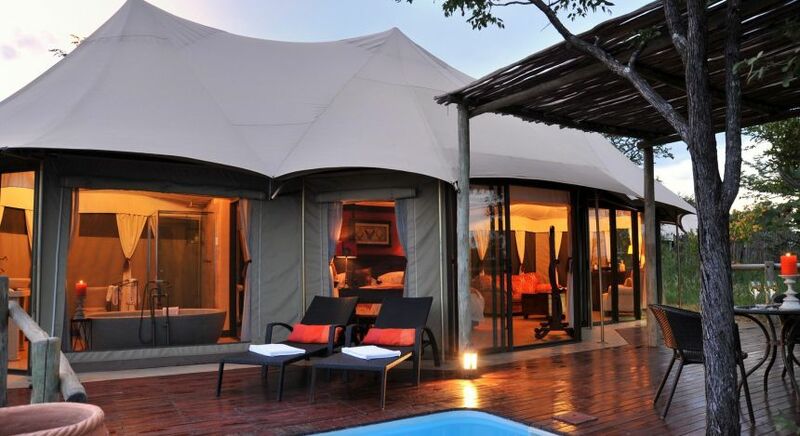 Expect to encounter herds of zebra, white and black rhinos, giraffes, hyenas as well as leopards. The Hwange National Park is Zimbabwe’s largest national park. This nearly 15,000 sq. km. park is home to an abundance of birds and wildlife—including enormous herds of African elephants, the big cats, giraffes, rhinos and packs of wild dog, among many others. 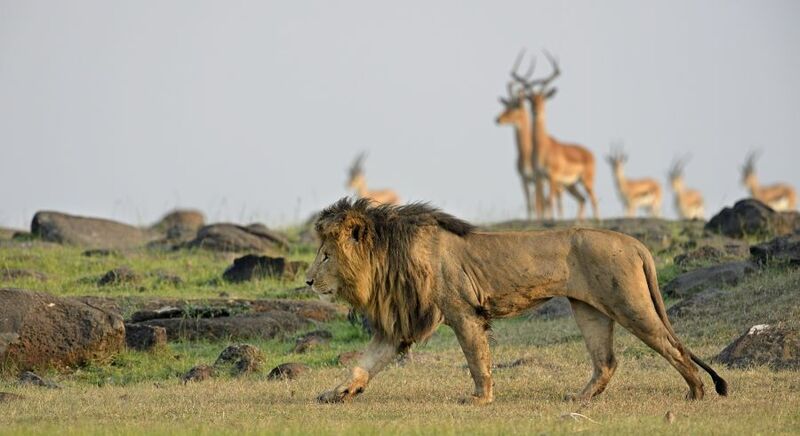 Experience breath-taking sightings of massive animal herds on safari drives. The best time for wildlife sightings are either early in the mornings or in the late afternoons when most birds and animals are particularly active. You can also enjoy exciting night drives to spot rarely seen nocturnal animals. On a luxury safari trip, you can be sure of high quality all-terrain vehicles with professional guides to accompany you on all rides and walks. 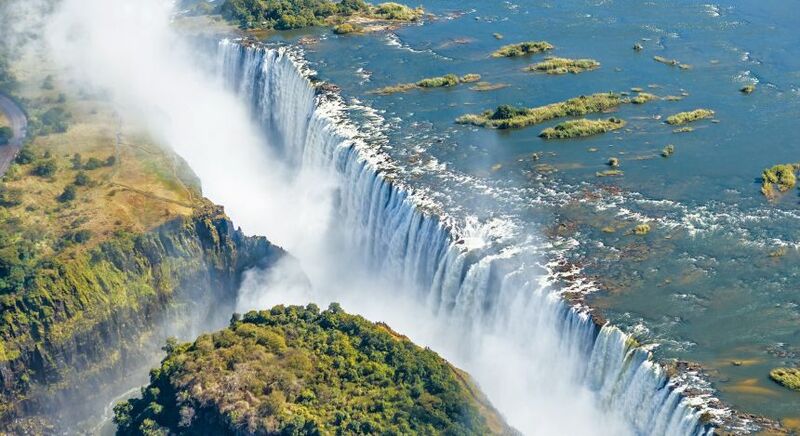 The one destination synonymous with Zimbabwe is the majestic Victoria Falls. Named after Queen Victoria, at 5,604 feet this is the widest waterfall in the world. Explore the great falls by a light-aircraft or a helicopter ride for a unique travel experience. 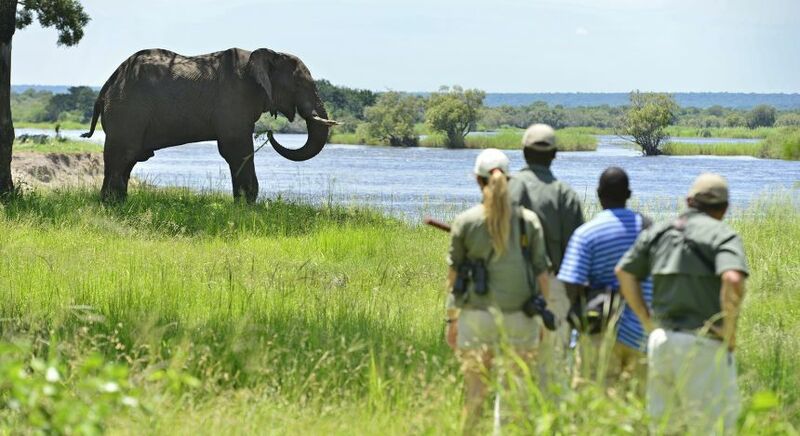 A luxury tour could also arrange thrilling canoe safaris for you on the Zambezi River. 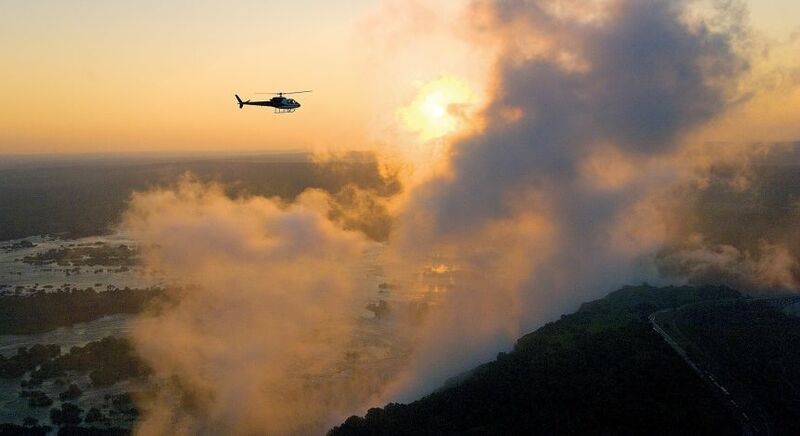 Take in dramatic views of the Zambezi plunging into a curtain of mist and creating spellbinding rainbow arcs! 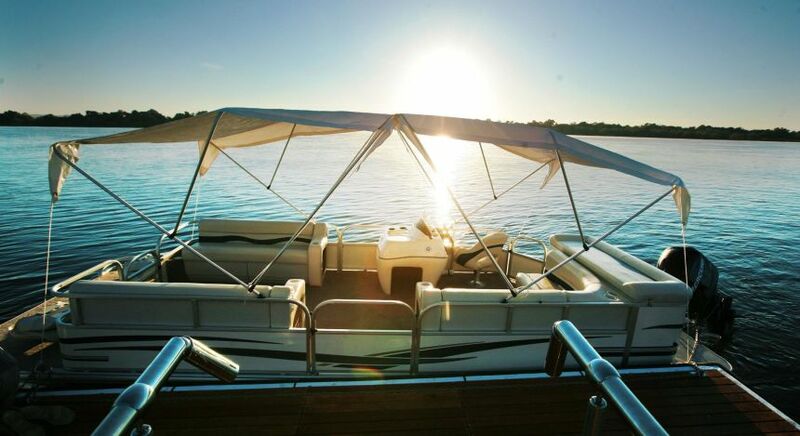 You could also take a boat safari to explore the Zambezi National Park, home to some amazing wildlife. 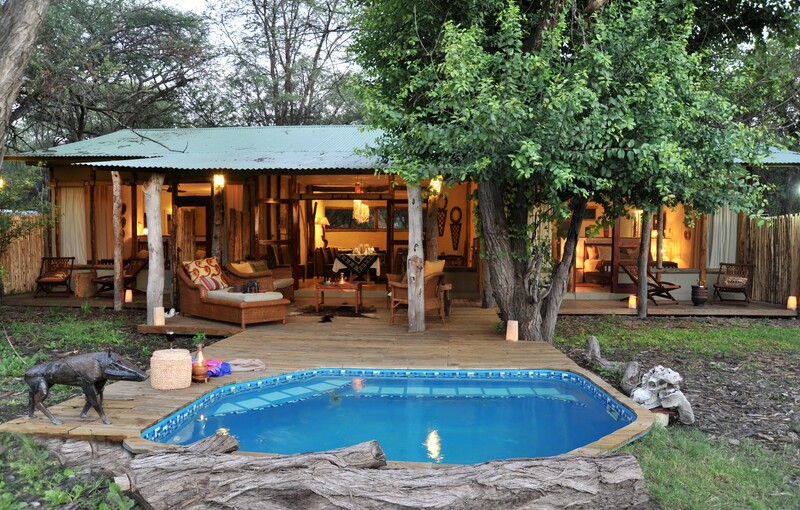 The luxury safari tour ensures that you stay at some of the best locations in Zimbabwe, with camping experiences tailor-made to your personal tastes and preferences. 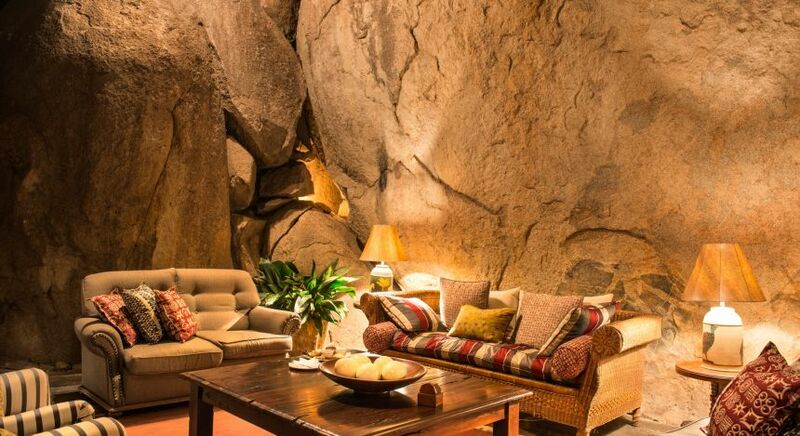 Whether it’s an Edwardian style five-star hotel skirted by lush tropical gardens with lily ponds and palm trees, or an exclusive, private camp overlooking the Zambezi river valley—you get the best offers! 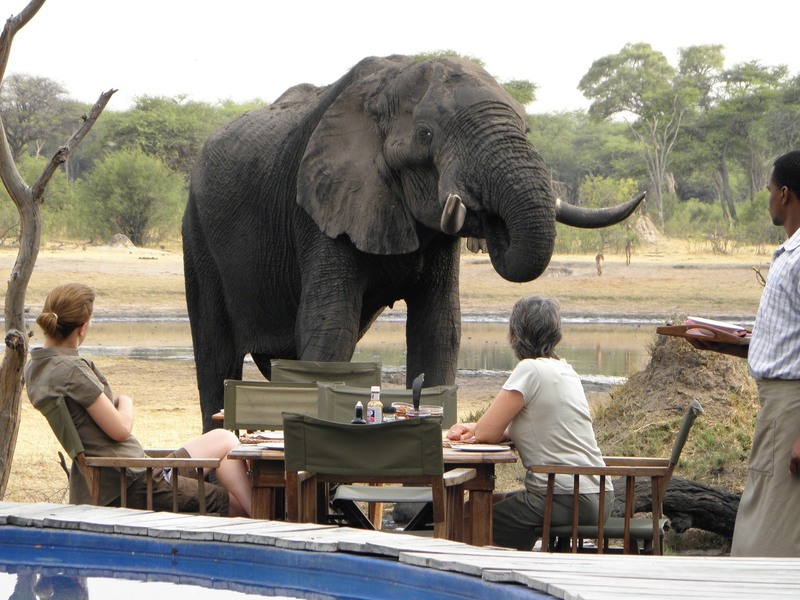 Camp deep within national parks, overlooking waterholes where resident wildlife drop in for a drink or two. 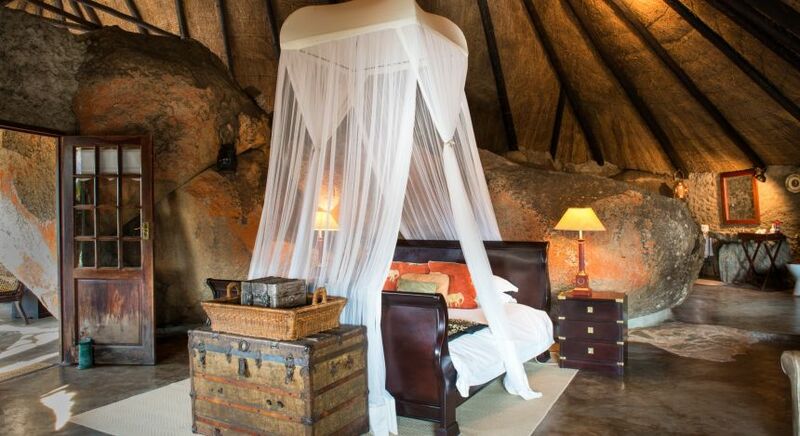 Or camp atop an enormous granite whaleback commanding breath-taking views of sweeping Savannah grasslands. Take leisurely laps at a camp’s open air swimming pool and jacuzzi or dip into a natural rock pool where ice cold sundowners are served at the end of a long day spent outdoors! 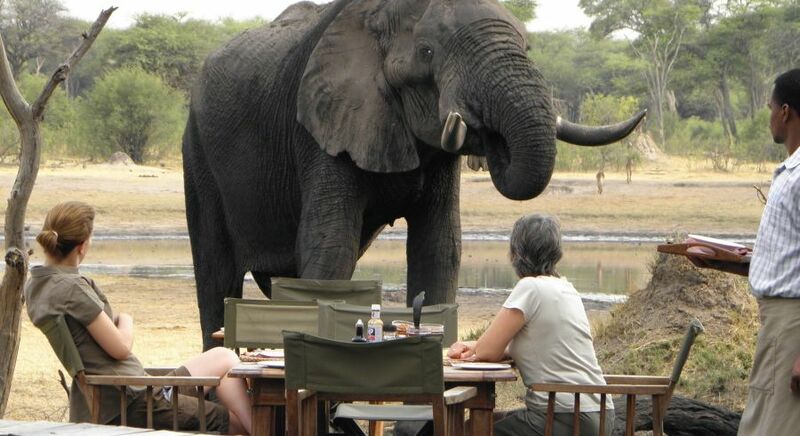 Plan your private luxury safari tours in Zimbabwe with help from our Enchanting Travels Destination Experts.